Based on reviews from 347 experts and 60,425 users. 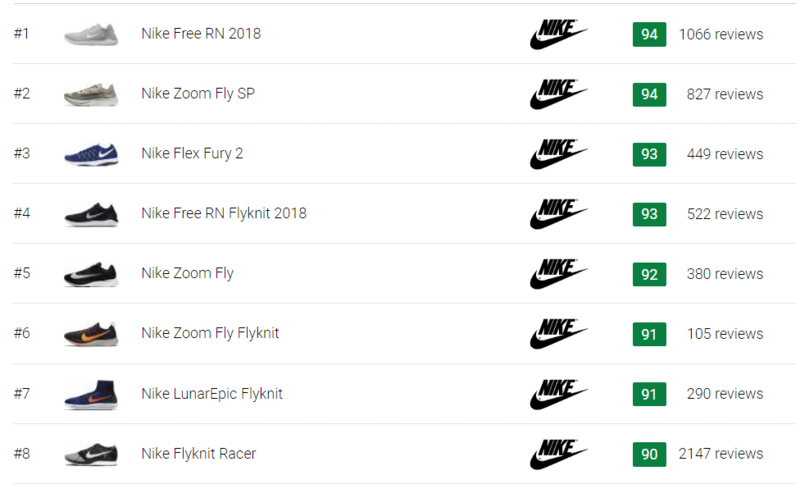 Learn how our rankings work or see our guide to Nike lightweight running shoes. Updated Apr 2019. 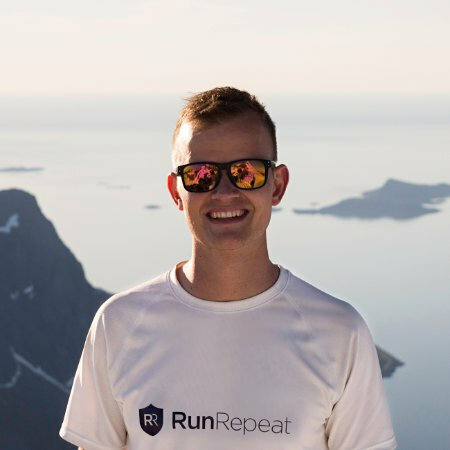 The weight of a product is one of the foundations of a well-rounded running experience. People who don’t feel as if they’re weighed down by their apparel are the ones who are most likely to use them frequently. Clothing brands aim to provide comfort with the products that they churn out. Comfort may translate to a light feeling or a sense that the weight of their article of clothing isn’t noticeable at all. The same thought is applied to footwear, as well. 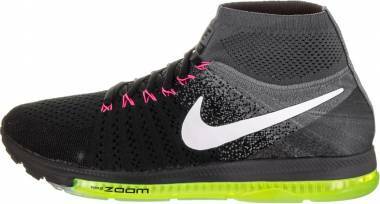 Lightweight Nike running shoes for women and men are examples of such a design philosophy. Nike is a brand that takes pride in its quality and delivery of accouterments that suit the needs of consumers. The company observes the trends in its industry, then works on it to fulfill an obligation for the demand. Nike is at the forefront of consumer understanding and product innovation, especially since more and more people desire apparel that doesn’t feel as though they’re being encumbered. Nike’s lightweight running shoes are answers to the desires of the masses. Gone are the days of bulky shoe-frames and the overabundance of features. People want the same comfort in a package that is functional and stylistic. Therefore, the owner of the Swoosh logo, with its years of excellence and business know-how, became a leader when it comes to running shoes that encourage speed, versatility, and all-day enjoyment. Sometimes, being lightweight means that the shoe has to have some sacrifices when it comes to its components. Most of Nike’s running shoes have a generous layer of rubber covering their midsoles. But some of them only have targeted protection (which means that rubber is only placed in high-wear areas) or that the midsole itself also serves as the traction-ready surface. As much as they mean to put some twist to the overall design of the footwear, these minimalist external pads are meant to shave off extra weight from the product. 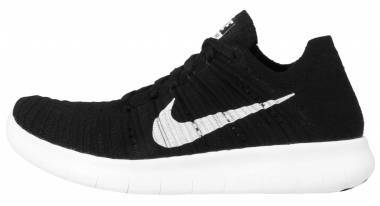 The Nike Free RN 2018 and the Nike Free RN Flyknit 2018 are examples of shoes that have minimal outsole configurations. Many a lightweight running shoe from Nike employ façades that aren’t filled with extra frills and trappings. In fact, most of the options from this brand are already plastered with contemporary outlines that involve fewer layers. Seldom are stitched overlays used in current-day Nike shoes. The trend lies in printed overlays and the use of the Dynamic Flywire System (stretchy cables that serve as eyelets of the fit adjustment scheme). Moreover, the standard mesh is now replaced with the widely popular Flyknit material or the customary engineered mesh (both of which are liked to woven cloth and are highly breathable and flexible). 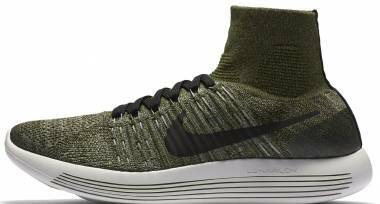 Examples of products that have such technologies are the Nike LunarEpic Flyknit Shield and the Nike Epic React Flyknit. Nike has a lot of shoe technologies under its belt. In fact, many of the most respected midsole foams are owned by the company that coined the Swoosh. Since the early 1990s, features like the Phylon and the Cushlon have graced the feet of consumers worldwide. People have grown to love the responsive and comfortable performance of these elements. But innovation has also taken further steps into the future. Midsoles don’t have to be thin to be lightweight. 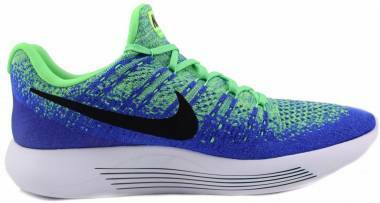 Relatively new compounds such as the Lunarlon (used in the Nike Zoom Fly SP) and the React (Nike Odyssey React) can look substantial, but many a consumer have been shocked by their light and flexible builds. Does the lightweight nature of a Nike running shoe affect its durability and versatility? If there were any doubts about companies coughing out products that have lackluster conditions and designs, Nike has successfully evaded them. The manufacturing process of this brand’s various products holds high standards of quality. Even the shoes that are labeled as ‘lightweight’ and ‘flexible’ have incredible lifespans. Casual shoe enthusiasts and athletes alike stand by the durability of Nike shoes. There may be some isolated cases of material breakage of early breakdown, but they’re most likely factory errors or (worst-case scenario) copycats. Nike’s website and other online sellers have always had reliable customer support portals that address any consumer-related concerns. Are Nike lightweight running shoes only for neutral runners? While there are stability running shoes that don’t typically exude heavy builds, most of the options that are for overpronated foot motion have weight profiles that are noticeably heavier than the ones that are for neutral pronators. Lightweight running shoes usually weigh at least 100 grams and reach the ceiling of about 250 grams. For many, this range is the sweet spot for shoes that don’t really demand to be noticed by the wearer. The stability mechanisms that are in corrective running shoes give extra weight because they need to be sturdy and well-made to do their job well. But that doesn’t mean that there aren’t any stability shoes that feel as though they have been imbued with the gravity of the earth. After all, ‘not heavy’ is primarily a subjective thing. Here are stability running shoes that may be perceived as lightweight: the Brooks Asteria and the Asics Gel DS Trainer 23.